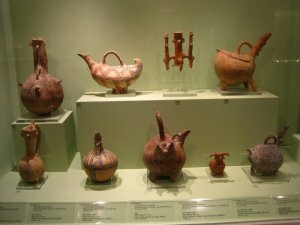 Individuals wishing to study archaeological material located in a Greek museum or excavation storeroom must first obtain permission from the relevant authorities within the Hellenic Ministry of Culture. For Canadian scholars the application to the Ministry should normally be made by CIG on their behalf. Members of CIG are entitled to apply for a study permit through the Institute. Applications should be made directly to the Canadian Institute in Greece no less than three months before the commencement of the study period, although six months is recommended. A fee of C$250 is payable with the application, though this fee may be reduced or waived at the discretion of the Director. For further information please contact the Assistant Director.